By 2029, just a decade from now, it’s estimated that more than 20 percent of the U.S. population will be over age 65. By 2060, the population of Americans over 65 will climb to 98.2 million—double that of 2015, according to the U.S. Census Bureau. Philanthropic funders are sure to come under growing pressure to do more. Right now, though, only 2 percent of U.S. foundation grants fund aging programs, according to an estimate from the Foundation Center. That percentage has not changed substantially in at least 20 years—even as the population is greying rapidly. The Archstone Foundation in Long Beach and the Gary and Mary West Foundation in San Diego are among the few regional funders focusing exclusively on the elderly. The John A. Hartford Foundation (JAHF), meanwhile, is one of the few aging funders whose scope is national. We follow this grantmaker closely because it plays a critical role in developing cost-effective, replicable, evidence-based programs needed to address the profound consequences of an aging society. Late last year, the foundation announced five grants totaling more than $5.2 million to implement and disseminate evidence-based approaches to improve care for older adults, including those who have dementia, need hospital care, experience elder mistreatment, or have other complex health and social needs. Taking a look at these grants offers a sense of where JAHF’s interests lie. Rising healthcare costs are among the biggest strains coming with an aging population. Senior citizens made up 13 percent of the U.S. population, but accounted for 34 percent of healthcare-related spending in 2010, according to a report from the U.S. Centers for Medicare and Medicaid Services. There is keen interest in finding ways to manage these costs. One promising approach is finding ways to keep seniors out of the hospital, which makes good sense both financially and medically. Hospital-level care is the most costly part of healthcare, and admission to a hospital puts the elderly at increased risk of infection. Programs that enable patients to receive hospital-level care in their homes have been increasingly used in countries with single-payer health systems, but their use in the U.S. has been limited. Instituting this type of program throughout the U.S. could produce dramatic savings for Medicare and private payers. Johns Hopkins Medicine is one institution leading the way. It has operated a hospital-at-home program since 1994, with positive results: Trials of the model found the total cost of at-home care was 32 percent lower than traditional hospital care, the mean length of stay for patients was a third shorter, and the incidence of delirium (among other complications) was dramatically lower—9 percent versus 24 percent. It is exactly this type of evidence that is needed to convince U.S. health systems and payers to adopt the home hospital model. With funding of $2,000,000 for two years from the John A. Hartford foundation, the Icahn School of Medicine at Mount Sinai and Johns Hopkins University will be able to increase the availability of the hospital-at-home care model, along with gathering more data about this model. According to the National Center on Elder Abuse, “knowledge about elder abuse lags as much as two decades behind the fields of child abuse and domestic violence.” We simply do not know for certain how many people are suffering from elder abuse and neglect, but it’s estimated that 10 percent of older adults (5 million seniors) are subject to elder abuse, neglect, exploitation and other forms of mistreatment. It’s estimated that only about one in 24 cases of abuse is recognized and reported to the authorities, and much morbidity and mortality of elder abuse results from poor detection. Earlier this month, we reported that $1.55 million of JAHF funding will enable the Education Development Center, along with a group of leading national experts, to implement and evaluate the Elder Mistreatment Emergency Department Care Model in six diverse emergency departments, with the intent of scaling nationally. 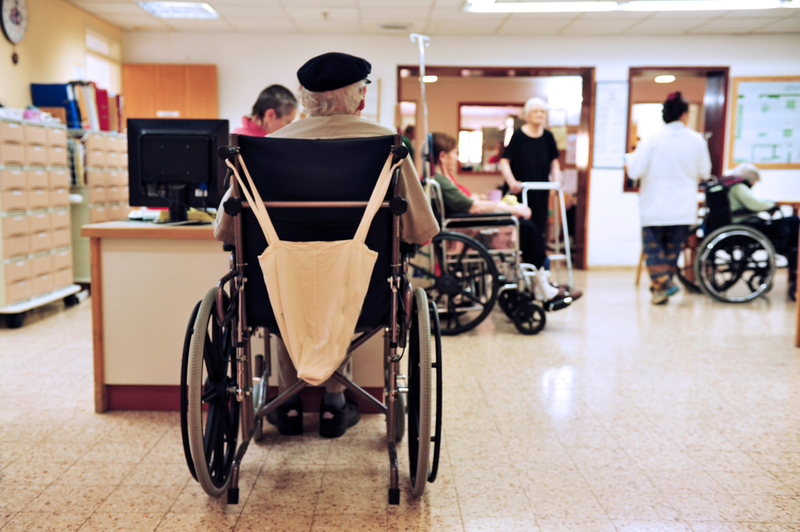 A visit to the emergency department for an acute injury or illness may be the only time socially isolated older adults leave their homes for an environment where they can be evaluated for mistreatment. Unfortunately, at present, emergency care providers rarely recognize and report elder abuse. This initiative aims to change that. An estimated 5.7 million Americans of all ages were living with Alzheimer’s in 2018. As the number of older Americans grows rapidly, so, too, will the numbers of new and existing cases of the common form of dementia. The UCLA Alzheimer’s and Dementia Care Program has shown remarkable results for people living with Alzheimer’s and other forms of dementia in addressing critical healthcare, social service and family caregiver needs, while improving health outcomes and containing healthcare costs. With a recent $1.5 million JAHF grant, the UCLA team will partner with the Education Development Center, the Gerontological Advanced Practice Nurses Association, the Alzheimer’s Association, the American Geriatrics Society and initial adopter, Hebrew SeniorLife. The group will spread this program to eight to 10 diverse locations for implementation, and will educate nurse practitioners in dementia care management. Another longtime JAHF grantee, the Institute for Healthcare Improvement, will receive two grants through a six-foundation collaborative that also includes the Commonwealth Fund, Milbank Memorial Fund, Peterson Center on Healthcare, the Robert Wood Johnson Foundation, and the SCAN Foundation. This collaborative seeks to help health care organizations participating in value-based payment models—including accountable care organizations (ACOs) and Medicare Advantage Plans—to adopt evidence-based interventions to improve outcomes and lower overall costs of care for people with complex needs. The Playbook, developed by the Institute for Healthcare Improvement, represents a critical step. It provides users with the best available knowledge about promising approaches to improve care for people with complex needs and encourages users to test best practices in their own care settings. A grant for $95,184 will fund development and dissemination of the Better Care Playbook, and another for $120,636 will establish a learning community of 30 to 45 teams from Medicare Advantage plans that will implement models and practices from the Playbook. It’s a Coming Tsunami. Which Funders Are Confronting an Aging America?